Cincinnati has a rich history in the arts, and there are many local organizations working in the community to engage with art in meaningful, even therapeutic ways. The city is also home to numerous trained art therapists who are specialized in creative therapies through visual art, dance and music. In spite of this, the discipline of Art Therapy is not offered as a degree at any area institution. The closest universities offering a graduate degree in Art Therapy are The University of Louisville and Herron School of Art and Design. 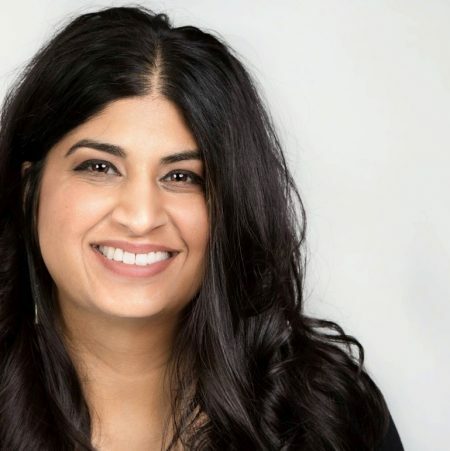 Meera Rastogi, licensed psychologist, board-certified art therapist, and professor of psychology at University of Cincinnati Clermont College, has created an undergraduate certificate in Pre-Art Therapy for the university. I asked her to break down some of the misconceptions about the field of Art Therapy, its therapeutic properties, and describe what she’s doing with it through the university and within the community. 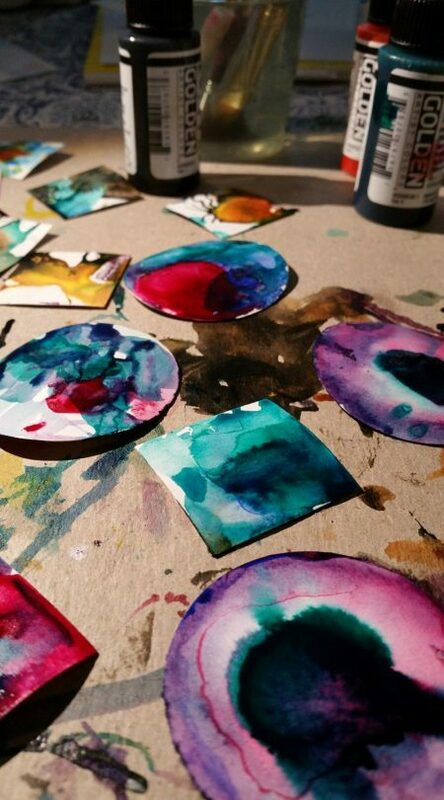 The term “art therapy” is often used to describe a wide range of activities that use art materials in a therapeutic way. 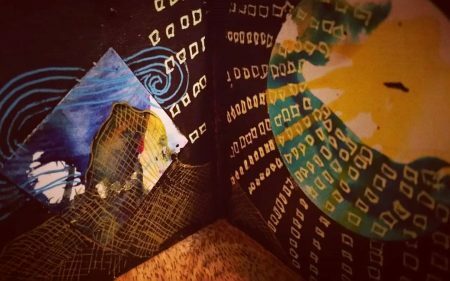 Can you explain just what Art Therapy actually is? 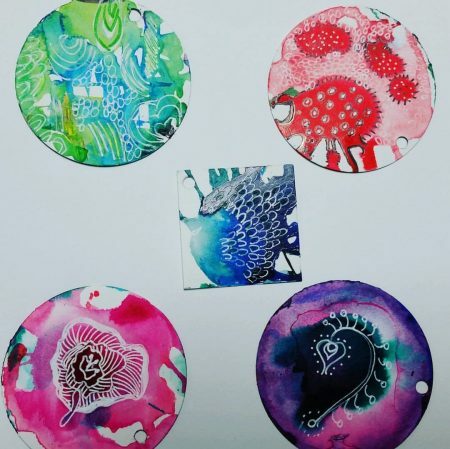 Art Therapy is a mental health profession that uses art materials and the art-making process to help people work through their problems, gain insight and cope with physical and emotional pain. Art therapy can include everything from creating art with a specific community or issue to using art in a traditional therapy session. Historically art therapists have argued whether art therapy is art as the therapy (e.g., feeling calm after art making) or art within a therapeutic context (also called art psychotherapy). There are many artists that participate and lead fabulous community art programs. These projects have amazing therapeutic effects on the community, and overlap with the work that art therapists do. An art therapist can enhance community art programs because we have training in group dynamics, working with different populations, and a deep understanding of how the materials elicit different emotional and healing responses. Art therapists are trained to ask therapeutic questions that help to increase insight and can guide the healing process using the art. Is it a problem when the term is casually applied to art activities that aren’t actual therapy? When we use the term “art therapy” casually, it diminishes the kind of work that art therapists actually do. The word therapy implies training, knowledge, and skills in human behavior, intra-psychic conflicts, developmental stages, and helping people heal or change. There is a danger to the public when people say they are doing art therapy when they lack art therapy training. If someone lacks clinical training he or she can easily harm a person, despite trying to use art in positive ways. 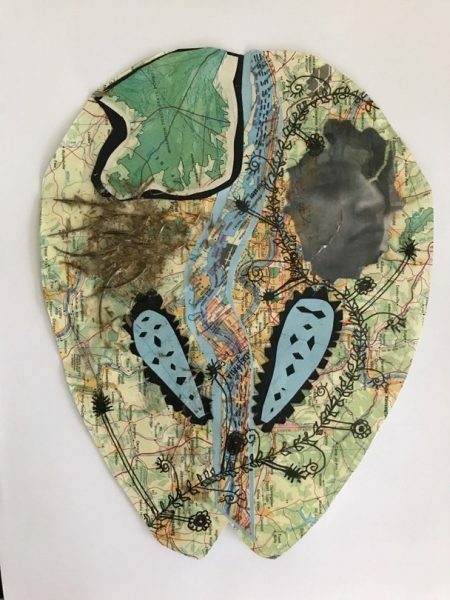 Similarly, when a counselor uses art in session they may not understand how the art media properties may elicit positive and negative responses in clients, nor do they have the skills to work with the images to promote insight and healing. Therefore, saying you are doing art therapy is not in the best interest of a client or community member because of the possibility of misleading people and accidentally causing emotional injuries that can result from lack of training. How did you become interested in Art Therapy? I did not know about the field of art therapy until after I finished my PhD in Counseling Psychology (June 2001) and started my first job in Madison, Wisconsin. At the college where I taught there was an undergraduate program in Art Therapy. Students in this program were required to take my psychology classes. These students would turn in art therapy oriented papers and projects that blew me away. I was struck by the ways art accessed the root of the problem in a very non-confrontational, non-verbal way. I completed numerous fine arts classes in drawing, computer design, and color theory. Eight years later I returned to Ohio and got a job at UC. 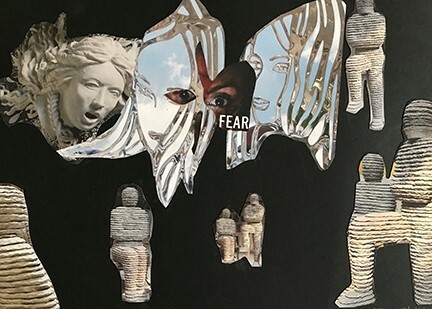 I decided I wanted to merge my greatest passions, art and psychology, into my work as a psychology professor, and art therapy was the perfect match. I decided to see an art therapist to verify my interest. Working with the art therapist for several months, I learned new insights, ways to re-envision my difficulties, and worked with my dreams. Again I was blown away at how the art revealed deeper struggles and helped me work through difficulties more quickly than verbal therapy. At this same time UC FORWARD requested proposals from trans-disciplinary courses. I knew this was perfect timing to propose a new course in art therapy and part of my request was to receive academic training in art therapy. After completing my first year of graduate school I decided to complete the master’s degree in art therapy. Color Me Happy event at University of Cincinnati Clermont College, bringing awareness of the calming effects of art-making to students. You’re a licensed psychologist with a PhD in Psychology, so why did you return to school for a master’s degree in Art Therapy? Licensing requirements in the United States are very complicated. However, I decided to complete the master’s degree to gain accurate knowledge and skills to allow me to process art in a much deeper, complex way than someone who has not had training in art therapy. Additionally, I wanted to develop our art therapy offerings in Cincinnati and UC, and knew I would have an easier time developing the program having the art therapy academic background. Explain the program you developed for the University of Cincinnati and how students are eligible to enroll. Right now the program prepares students interested in a master’s program in Art Therapy. Students need to have 12 credit hours of psychology and 18 credits of fine art. Someone who is a fine arts or psychology major can easily add the pre-art therapy certificate into their bachelor’s degree. 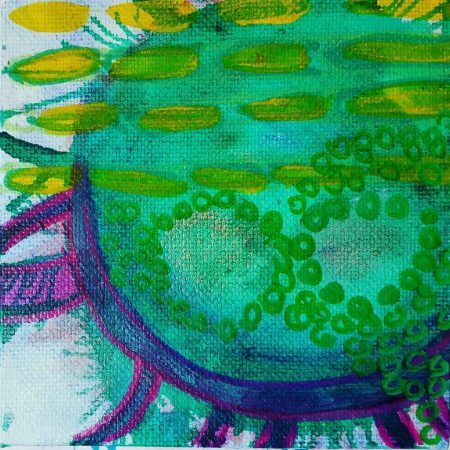 We offer an Introduction to Art Therapy class and not all undergraduate art therapy programs have an introduction course. How does one train for a career as an art therapist? Currently only eleven states offer a license in Art Therapy or allow art therapists to practice under another professional license. Art therapists are working very hard to pass licensure throughout the United States to protect consumers from people who lack training in art therapy for the reasons mentioned above. How does your work as an art therapist differ from your work as a therapist? Are you specialized in a particular area? I always said verbal psychotherapy was the hardest work I’ve ever done. I liked it but it’s very challenging and I found it to be very draining. It’s interesting because I really love doing art therapy and, I mean I love it. I really enjoy it. It is an easier, less threatening form of therapy. And the artwork does a lot of the work. 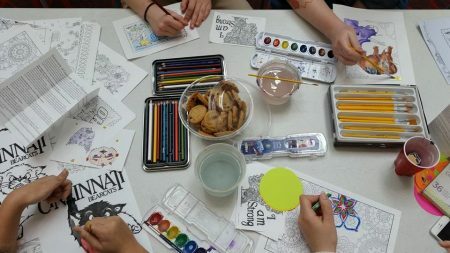 In art therapy we’re still doing the same kind of work but the art somehow makes it easier for people to open up, explore underlying causes, and connect with one another. It makes the therapy process faster. Carl Jung[i] mentioned this, because he did a lot of drawings himself to work out his own problems. 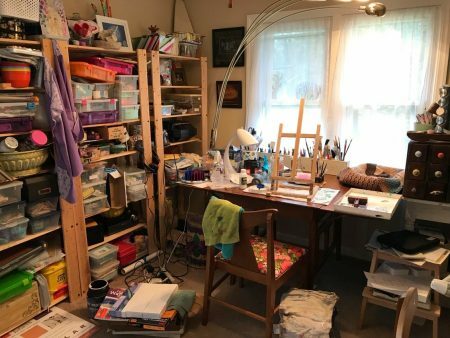 He said one thing he liked about using art in therapy is that people think about the problem more deeply, continue to work on the problem on their own, and not just for one hour a week like in traditional therapy. My own personal art therapy has shown me how to use my art images to help me get through difficult times. I think about the emotional content of the images or the ways in which the therapist and I re-envisioned the artwork and this aids in changing my emotions and thoughts. Do you specialize in a particular type of treatment? I mostly work with people focused on mental health recovery. These are people who have been diagnosed with severe mental illness but want to create a positive and purposeful life. I also work with older adults with dementia. Both of these groups represent the two ends of Art Therapy continuum I discussed above. With older people the artwork is for self-soothing and quality of life not for insight work. For people with severe mental illness, images are processed for deeper meaning and insight. You’re active in the field and work with different local organizations. Will you describe what you do? I have been running an art therapy group at Hope Community Center in Amelia for adults focused on mental wellness. The group has grown from ten people to about 20 people that meet every week. Each week there is a project that has some mental health recovery focus. Our most recent project focused on creating a work of art that shows the type of mark you want to leave on this world. We used bleeding tissue on canvas to create the base layers of the work and then the members use acrylic paint, sharpies, and other materials to build up the layers. I incorporate my work as a professor there by having four undergraduate interns who receive training and learn about mental health recovery throughout the semester. At Marjorie P Lee Retirement Community I co-run a group with the program creator and art therapist, Janette Kempf. She’s been there for about 20 years. We have a group where residents are paired one-on-one with a student for an entire semester. Each week the residents complete different art projects and the students assist as needed. This type of work focuses more on companionship, using art as a soothing activity, and reducing the residents’ isolation. The program is based on Miami University’s Opening Minds Through Art. Do you find art therapy to be more effective with particular clients? You have to be able to take a little bit of a risk because even putting a paintbrush to paper, even just the smallest mark, takes courage and some people are in such a fragile, unstable place and can’t make themselves be that vulnerable. In these cases art therapy may not work. But I have found there are ways to warm people up and help them feel safe enough to take this risk. For example, start off with materials that the person is really comfortable with, such as 8 ½ x 11” paper and a pencil; you slowly build confidence by trying different things. 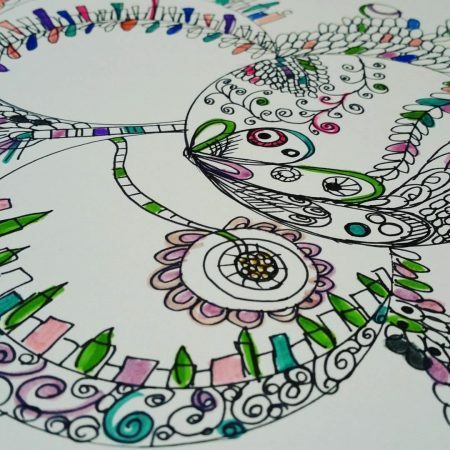 In making art for yourself, do you have specific therapeutic approaches in mind? How does your training as an art therapist influence your own process? Do you have a preferred media? 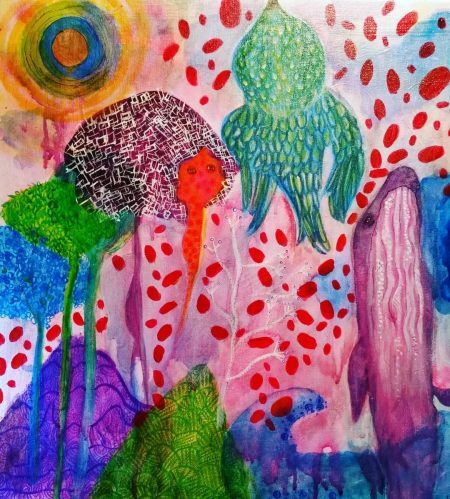 A Jungian approach to art therapy uses the subconscious to guide the art-making process. I will start with a fluid medium like watercolor or watered down acrylic paint and spontaneously throw different colors on to canvas. Once this dries I will keep turning the piece to find images and see what’s there. I then draw out these images/ figures/ objects with layers to develop them more. Eventually I might have what Jung called a dialogue with the art piece as it has a message to share. The painting Wee: Let’s Have Some Fun is an example of this process. I created random shapes on the canvas and they found a whale, bird, trees, and a stingray. I developed these shapes and animals and asked them what they needed to tell me. They responded by telling me they were enjoying the creative process, even if things don’t make logical sense! Who are some of your favorite artists and how have they influenced you as both therapist and artist? That is a good question and I recently found this watercolor artist named Emma Larsson, who I just love. Her images look similar to stuff I do where you let paint roll and find something. She creates creatures from her shapes. They’re just beautiful. I also love Yayoi Kusama and I love how she talks about the role of art within her struggles with mental illness and how she creates rooms where people can experience that, which I think is amazing. I love van Gogh’s paintings, and think there’s a quote of him that he says he wants people to feel what he feels through his paintings. I love this collage artist, Eugenia Loli. Loli creates powerful collages that melt together like they’re one piece. 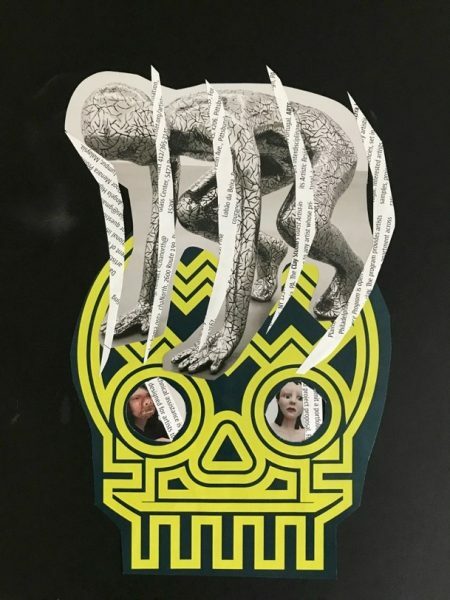 Her collages have powerful political statements. Bruce New is another collage artist since he uses the textures found in magazine photos to create his pieces. I enjoy work created by visionary artists, also known as outsider artists. Not only is the artwork inspiring, the personal stories behind the work only add to the richness. My favorite visionary artists are Nek Chand (Rock Garden), Judith Scott, and Margaret Munz-Losch. What’s your vision for art therapy at UC? Do you think Cincinnati has something unique to offer in this growing field? I’d love to see an art therapy master’s program or graduate level certificate at UC. I also dream of creating an Art Therapy Institute where people research the healing aspects of art from community-based art projects or to the nuts and bolts of how art making affects the brain. Eventually I would love to open a community art and wellness center. Even if I am able to accomplish one of these things I will be happy, but all three would be nice. Meera Rastogi, PhD, MAAT, ATR-BC, Licensed Psychologist, Board Certified Art Therapist, Psychology Professor, University of Cincinnati Clermont College.